TAG-SP®, the most recent addition to TAG Alliances, takes advantage of the business that is generated in a free, active and global marketplace by attracting sophisticated and varied businesses. It has, as members, TAGLaw® alumni who are in-house counsel to multi-national companies; ancillary businesses of our existing members, trust companies, wealth management companies, and other businesses that can benefit members of the TAG Alliances. TAG-SP furthers the goals of TAG Alliances members by helping serve clients, by creating referral sources and by integrating businesses, law and accounting firms into the global marketplace. The nature of doing business in a national and global economy, as well as the unpredictability of your clients' businesses, creates the probability that your clients will one day need either legal, accounting or other professional service support outside of your geographic capabilities. The ability to safeguard your client base will hinge on how well you can provide help beyond your own region. TAG-SP membership is a sure way to fortify your position with clients. Businesses are continuously looking for the extra benefits that their professional service firm brings to the relationship. TAG-SP members can differentiate themselves from their competitors by providing a broad range of professional service help worldwide, and having access to colleagues with extensive expertise, more than a single firm is able to develop. The international relationships developed with lawyers, accountants and professional service providers worldwide will open more doors of opportunity for member firms and simultaneously raise a firm's profile as well as the caliber and expertise of individual members. The firms that take advantage of and promote this increased profile will attract new business locally. Members with questions about issues outside of their local areas can post questions to The TAG Alliances as a whole or to specific members. Responses are typically received within 24 hours. Partners are continually seeking ways to grow their business, increase efficiency and improve profitability without adding more hours and pressure to already stretched employees. The TAG Alliances host two international conferences a year, typically in the USA and Europe. These international gatherings provide a valuable meeting point for partners from around the world. Speakers include some of the professions leading consultants. The conference sessions and the opportunity to network with other member firms create profitable business discussions and a multitude of new ideas to aid your firm's development. Occasionally your team will face a project where you have 90 percent of the expertise needed for the job. Through your TAG Alliances connections you can pull in that crucial 10 percent that makes the difference between winning and losing. Whether it takes the form of a joint-bid or bringing an extra skill set to the table, TAG-SP strengthens the expertise and capabilities of your firm, and increases your chances of gaining new business. When members of TAG Alliances firms have questions in your market or niche, you'll be there. With more than 250 member firms and estimated global revenue near $3 billion (USD), TAGLaw and TIAG members represent and mean business. Founded in 1999, TAGLaw is an international alliance of high-quality independent law firms. The alliance today ranks among the five largest legal alliances globally, and has been recognized as an "Elite" network in the Chambers Global 2015 rankings guide for legal networks. 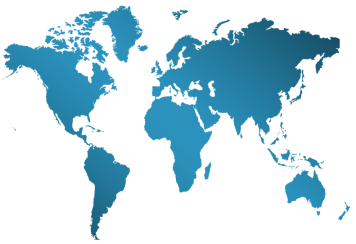 The TAGLaw alliance provides professional resources and geographic coverage on a worldwide scale. Learn more at www.TAGLaw.com. 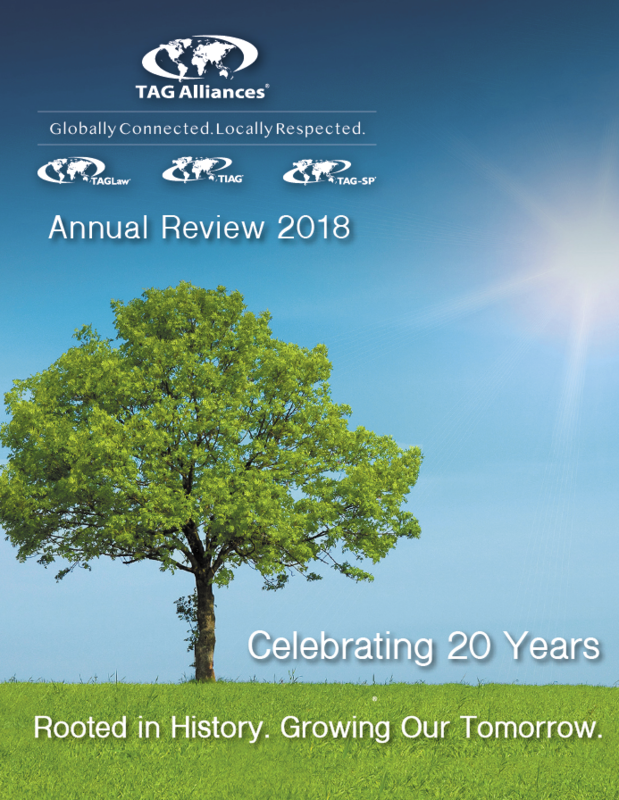 Founded in 2003, TIAG (The International Accounting Group) is an international alliance of high-quality independent accounting firms. The alliance has grown to over 115 members and has achieved recognition from Accountancy Age. Learn more at www.TIAGnet.com. TAG Academy was created in 2007 to fill a growing need for easily accessible professional education and development. TAG Alliances members have access to a collection of more than 100 web-based courses on a variety of topics including technical, legal, management, marketing and business development matters, as well as elite training and coaching opportunities from partnered providers. Learn more and browse our course library at www.tagacademy.com.